Treble Clef Wall Hook – Looking for a unique music gift? This Treble Clef Hook is the perfect gift idea for the home of a musician! Made of lead free pewter, the item has a beautiful handcrafted treble clef design with a classic “J” hook at the bottom. It’s great for hanging your keys, coats and other household items! Comes with a pre-drilled hole for easy mounting. Approx. 5″ in height. 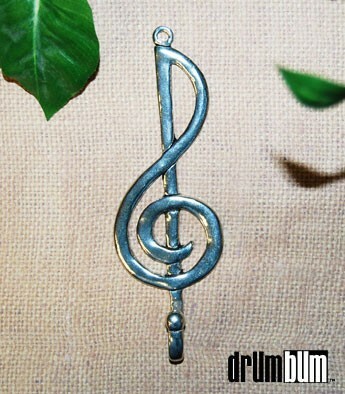 Music Notes Gifts at DRUM BUM!